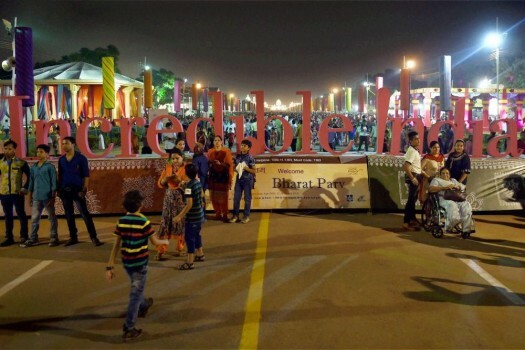 Peoples during the last day of Bharat Parv - a cultural extravaganza, organised by the Ministry of Tourism, at the Rajpath, in New Delhi. 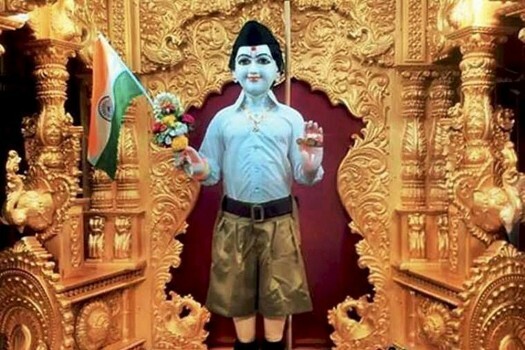 An idol of Lord Swaminarayan dressed up in Rashtriya Swayamsevak Sangh’s uniform at the Swaminarayan Temple in Surat, Gujarat. 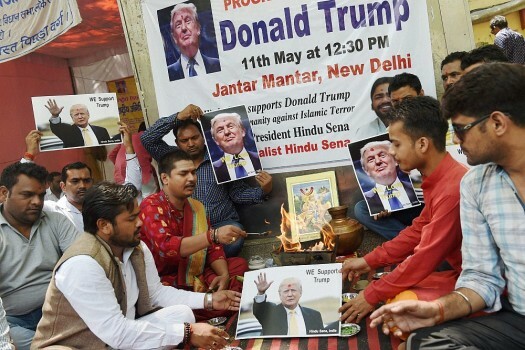 Hindu Sena activists organise a havan in support of Republican US Presidential hopeful Donald Trump at Jantar Mantar, in New Delhi. 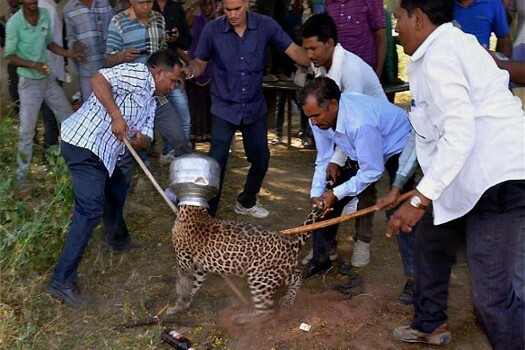 Villagers try to remove a vessel stuck in the head of a panther at Sardulkheda village, 68 km from Udaipur, Rajasthan. 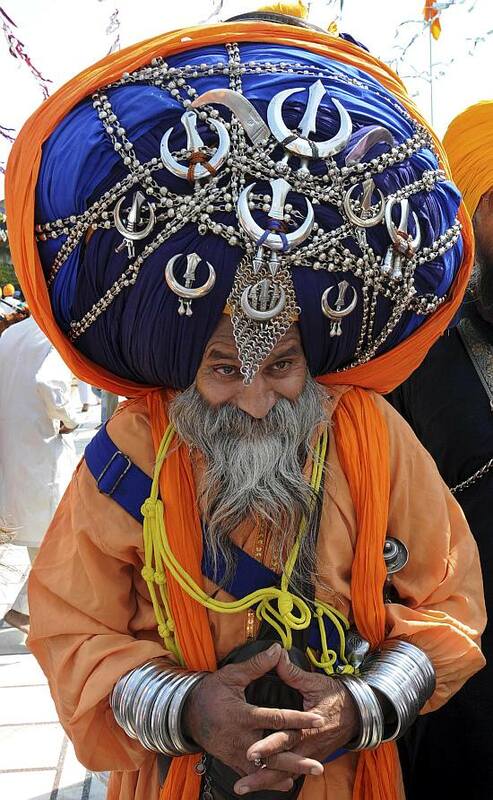 The pather put its head in the pot in a bid to drink water. 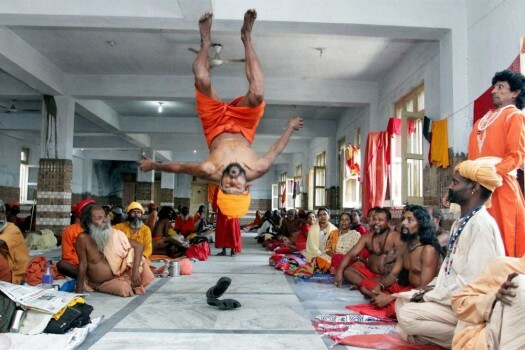 A Sadhu performing a somersault while others watch at an Amarnath Yatra camp in Jammu. 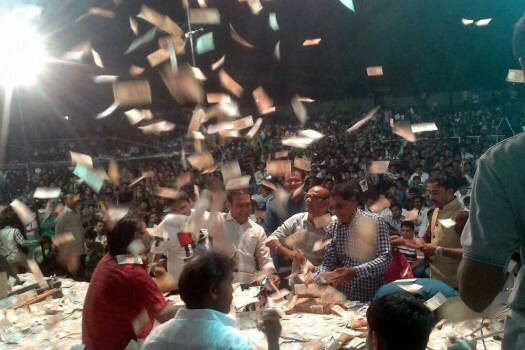 People throw currency notes in the air during a religious programme at the inauguration of a temple in Kahambalia village of Jamnagar district. 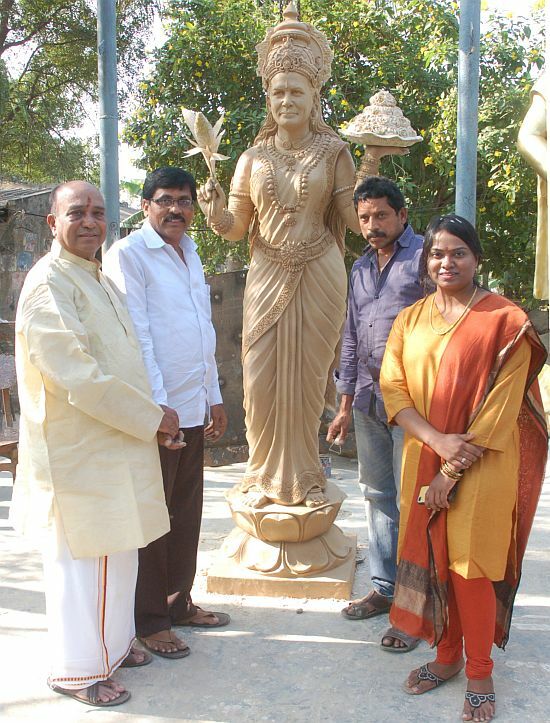 in Gujarat. 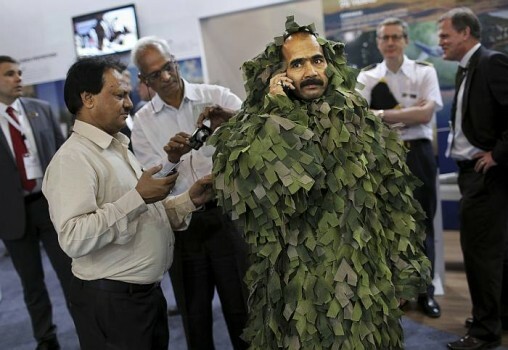 Girdhar Vyas hugging a tree with his mustache on the occasion of World Environment Day in Bikaner. 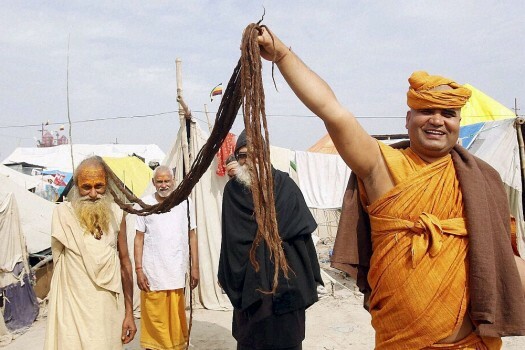 Sankaracharya Swami Adhokchajanand showing a sadhu's 9 ft long hair at Magh Mela in Allahabad. 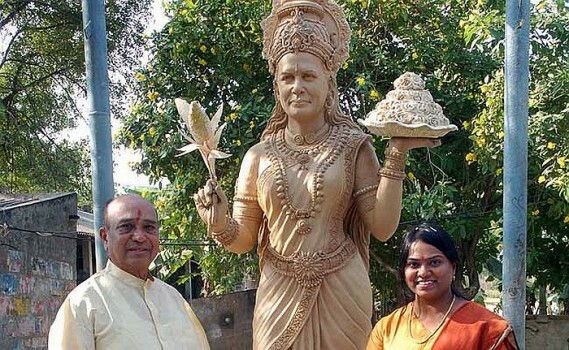 Bharatiya Janata party (BJP) leader Narendra Modi is weighed against silver by diamond, gem and jewelry traders in Mumbai. 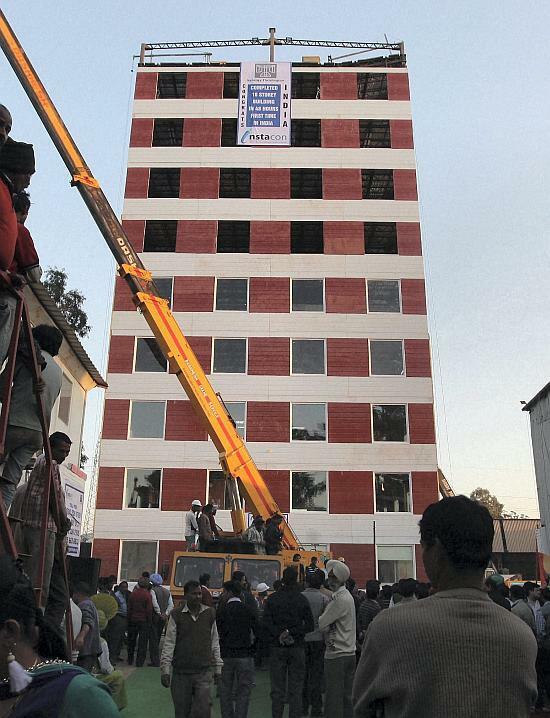 A 10-storey Steel building which is being planned to be erected within a record time of 48 hours in Mohali. 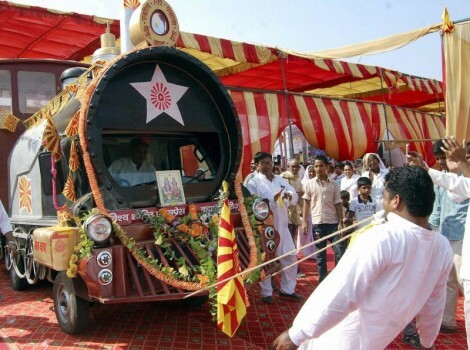 B K Monu pulling the truck shaped as train engine with his teeth's at N I T Dussehra Ground in Faridabad. 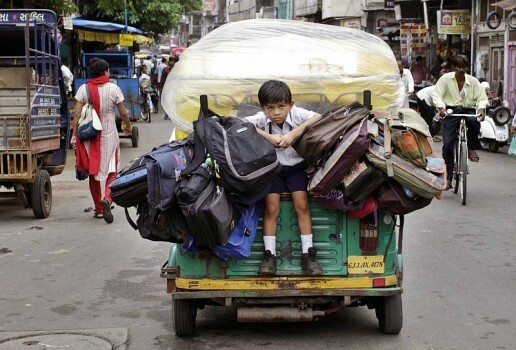 A young boy hangs out of a back window of an auto as he is taken back home after school in Ahmedabad. The woman's husband and in-laws started physically abusing her after she gave birth to a third daughter. On March 31, these five religious leaders were appointed to a committee set up for the conservation of the Narmada river. 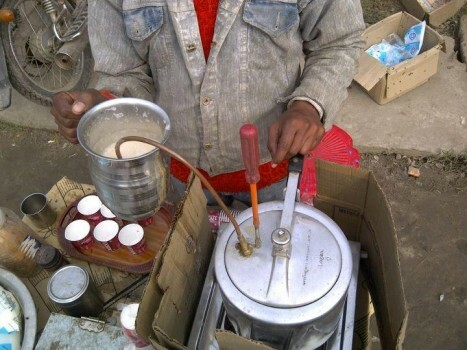 They were arrested under IPC section 379 (theft) and provisions of the Madhya Pradesh Cow Slaughter Prohibition Act. 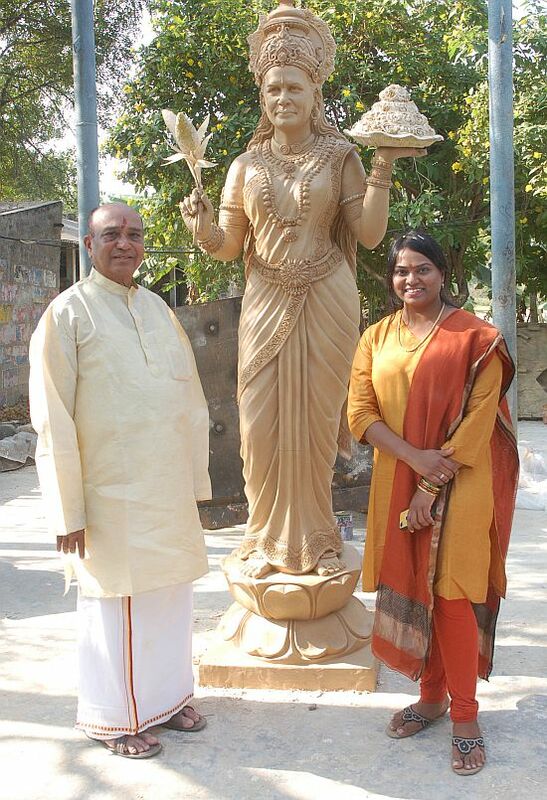 The notice stated that if Verma fails to do so, then her house at Nevada, Ashok Nagar, would be attached. 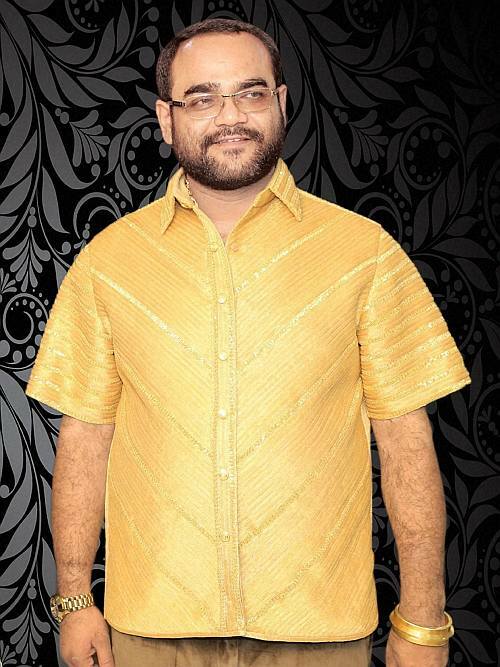 A break-up of the expenses suggests that an average of Rs 22,000 was spent per day on entertaining about 150-200 guests. 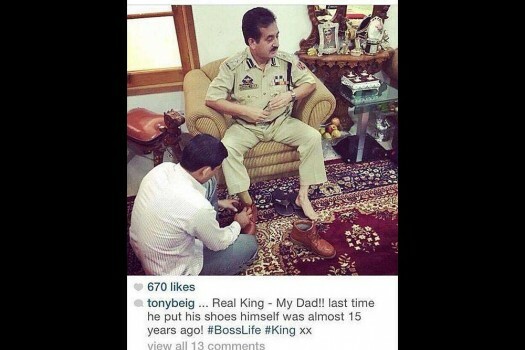 It is to be noted that Rawat, a Bharatiya Janata Party (BJP) leader assumed his office on March 18 last year. The Supreme Court is scheduled to hear the Babri Masjid/Ram Janambhoomi dispute from February 8.